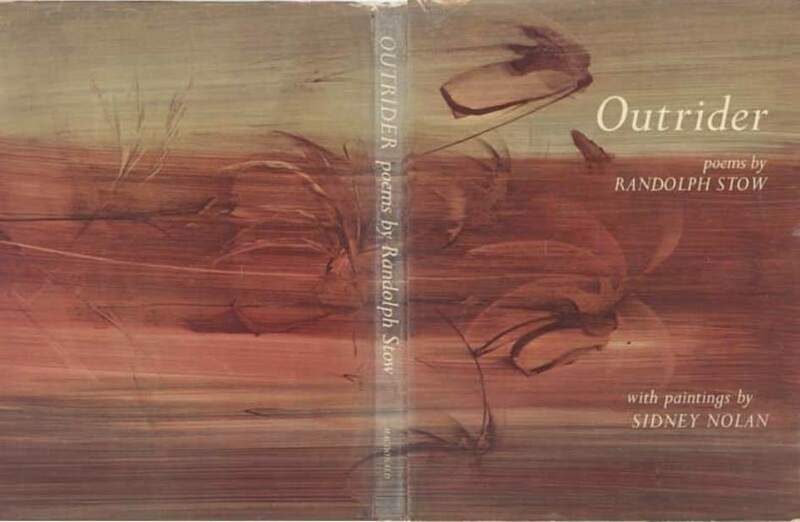 In 1962 Sidney Nolan and Randolph Stow collaborated in the publication of Outrider, Stow’s poems written 1956-1962 and illustrated by Nolan. The two Australians found an affinity and their friendship lasted 30 years. 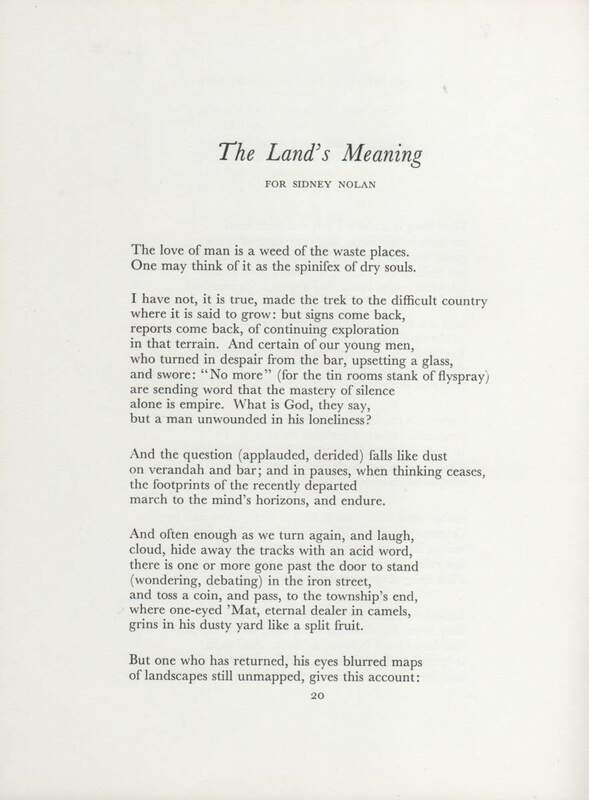 One of the poems, “The Land’s Meaning”, was written for Nolan. It is included here as Stow’s tribute to his friend. 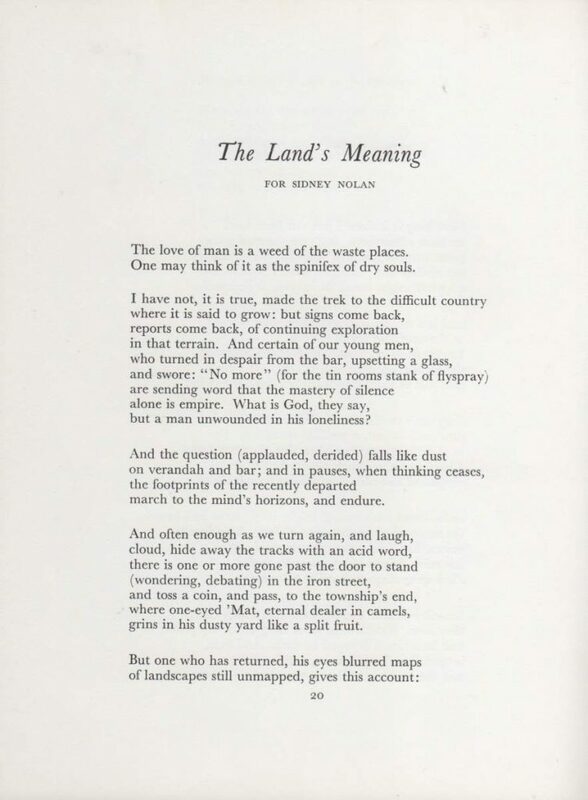 Another tribute relating to Nolan and Stow, prepared by Judith White, will appear in Imagining in Excited Reverie later this year. RANDOLPH (Mick) STOW, b. 28 November 1935, d. 29 May 2010, was an award-winning Australian-born writer, novelist and poet. 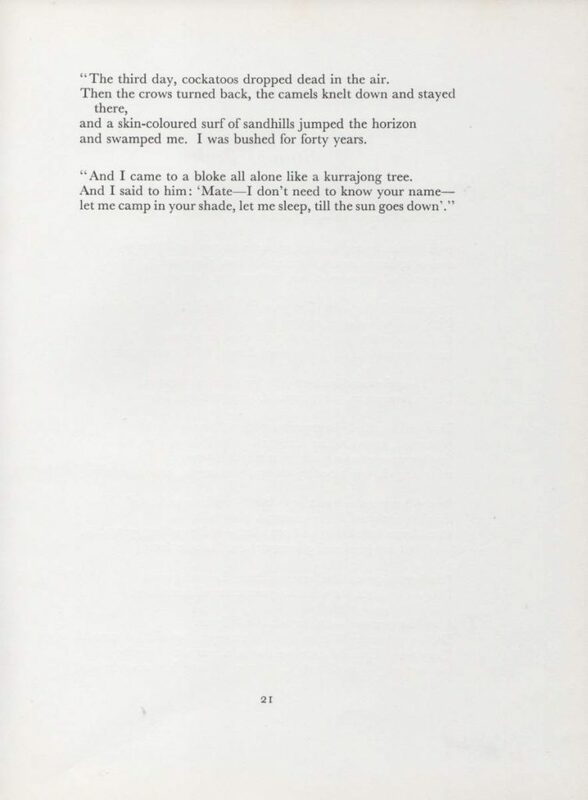 He taught English Literature at universities in Adelaide, Perth and Leeds, and in his early twenties worked on an Aboriginal mission in the Kimberley, and as an assistant to an anthropologist and cadet patrol officer in the Trobriand Islands of Papua New Guinea. He first visited England in 1960, returning several times to Australia. In 1964 and 1965 he travelled in North America on a Harkness Fellowship. From 1969 to 1981 he lived at East Bergholt in Suffolk, his ancestral county, and spent the rest of his life in nearby Harwich.